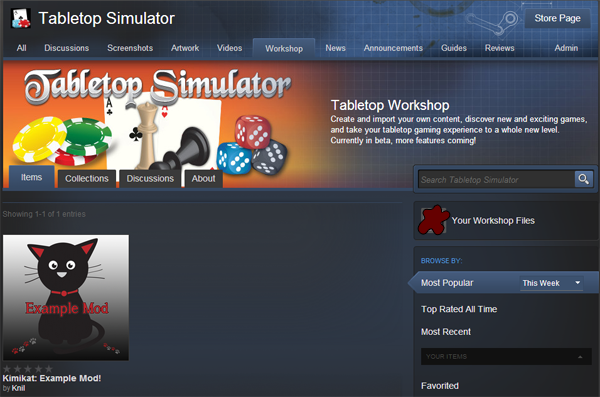 We’ve been on Steam for one month and we are proud to announce that Tabletop Simulator now support Steam Workshop for all your modding needs! This is our 8th patch in 8 weeks and looking back through the patch notes, we realized how far the game has come thanks to all of your support! Help us spread the word about the game and the new Workshop support, so our community can grow even more and have even more content to play!